Front Sight In The News > Armed defense at Front Sight: How competent are you? 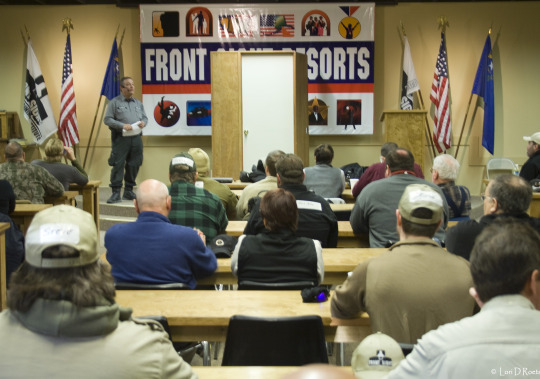 Front Sight Training Institute provides not only range training, but also essential classroom training on tactics, moral and ethical considerations of using deadly force, and implications for civil and criminal liability. 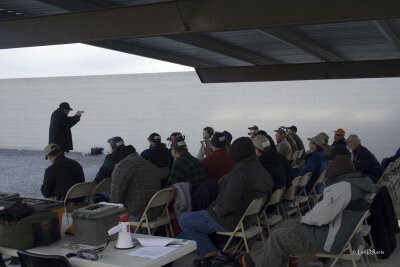 Few firearm training facilities have as much to offer the many thousands of new gun owners created by the Obama administration as Front Sight Training Institute. Having just completed the school’s Four Day Defensive Handgun course, this four part series will detail the school’s philosophy, what you can expect to learn, and most of all, why you need to go. Overall, I was impressed. Front Sight differs from other shooting schools I’ve attended, primarily in its lack of “boot camp” mentality. The upside is a friendly atmosphere for a variety of people – including families and upscale professionals – who have relatively little initial training in firearms. Unlike schools where I have shot next to SWAT team members, at Front Sight performance expectations are set at reasonable levels and mistakes are not met with the in-your-face screaming from a drill instructor. To that end, many Front Sight instructors have backgrounds not in the military, but in local law enforcement or as “civilians” trained by the school itself. 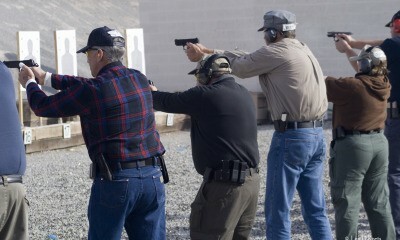 A minor downside is that although instructors are extremely vigilant in stressing and enforcing range safety, the relative inexperience of students sometimes makes it challenging to police safety violations such as bending over to pick up magazines before the range is safe, failing to properly clear weapons before re-holstering, etc. With a Range Master, two additional instructors and roving auditors present for all range sessions, however, the school did a reasonable job of minimizing problems. 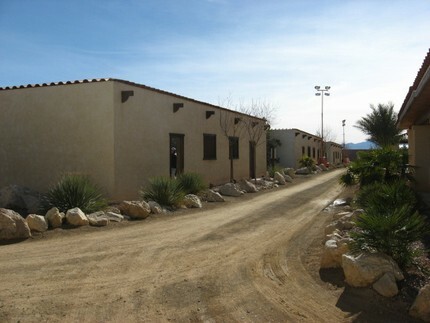 Front Sight’s family-friendly environment also means that in the interest of keeping training goals achievable for average people, some techniques taught tend to be proprietary or may vary from other schools. For example, after many years of handgun competition, backed up by federal law enforcement training and other schools, I tend to use an “Isosceles” shooting position. Front Sight, on the other hand, adheres to the “Modified Weaver” developed by Jack Weaver in the 1950s and later popularized by Jeff Cooper. As discussed later in the series, the school has reasonable rationale for its practices. For topics common to all courses (legal aspects, tactics, etc. ), lectures are conducted in a large and well-appointed classroom (including audio/video equipment) seating about 500. 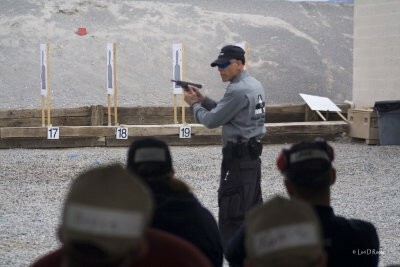 For shooting exercises, groups of about twenty students are assigned to specifics ranges and instructors. Ours was an outdoor range with shooting positions at 3, 5, 7, 10 and 15 yards. Speed and proficiency were assured by using turning targets. Front Sight uses proprietary targets, developed by founder Dr. Ignatius Piazza using x-rays of actual shootings, which feature target zones in the thoracic cavity and cranial-occular cavity. Some exercises used photographic targets to create judgmental shooting scenarios and greater realism in delivering hits. In addition to a tall berm at the end of the range, safety was assured with cinder block side walls. Range briefings were conducted in a classroom, at the end of the range, sheltered from the desert environment. Under the guidance of Dr. Piazza, Front Sight distinguishes itself from other schools in its effort to restore the Second Amendment by changing perception of gun ownership in the United States. As described by Marketing Director and Range Master Wes La Huillier in his introductory briefing and expanded on in a video by Dr. Piazza, the erosion of gun rights has resulted largely from an organized effort by gun control activists and the media to depict gun owners as irresponsible, blood-thirsty rednecks. By exposing media members and the public to the realities of gun ownership, Piazza’s goal is to reverse the erosion of gun rights. Reasonable people can disagree about the potential efficacy of the approach. But given the thousands scared into buying guns under the Obama administration, one has to give him credit for the effort. Intentionally incompetent (II): The individual knows what they lack but, due to laziness or fear of exposing inadequacies, refuses to obtain training. Unconsciously incompetent (UI): Comprising perhaps 95% of gun owners, this group includes those who go to gun shops and buy gun magazines’ latest recommendations, assuming that prepares them for home invasion. These people don’t know what they don’t know. Bear in mind that this category includes not only average citizens, but in some cases police, members of the military and others. Consciously incompetent (CI): People who are aware of what they don’t know and decide to seek help in acquiring firearm skills. Consciously competent (CC): People who have developed defensive gun skills through hard work, but whose skills have not yet become reflexive. Unconsciously competent (UC): Those whose training is so thoroughly ingrained that it becomes reflexive. Be realistic with yourself: Where to you fall in the Five Levels of Competence? If you read about defensive gun use in magazines and pop off a few rounds at the range occasionally, chances are you don’t know what you don’t know. How to select a proper defensive handgun. Regardless of your background, check out the upcoming series and decide whether Front Sight Training Institute is for you.